Hydrangea is based on our popular pattern, Patches. 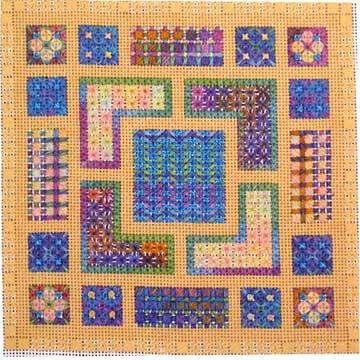 The 9" design is stitched on 13-count canvas. Using Watercolours, Rachelette and Impressions and several of the stitch combinations from Patches, step by step instructions are given to create a new garden design.